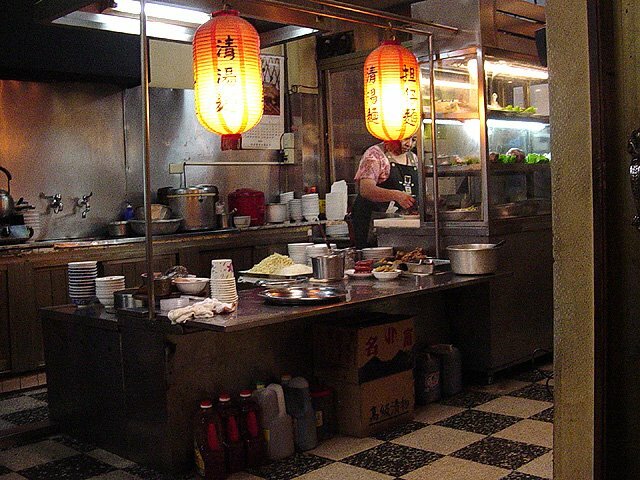 Tainan Fats Dan-Zai Noodles is a hole in the wall type of restaurant that still holds on to its food stand roots. The restaurant is small and half of the place it taken up by an old fashion food stand. 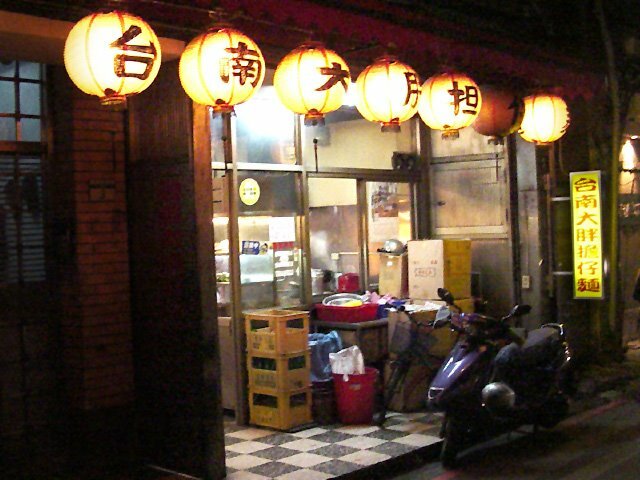 I arrived at Tainan Fats around midnight on a Thursday night and the place was still pretty crowded. I tried their 擔仔麵 (Dan-Zai Noodles). The Soup - seems unimportant, lightly seasoned the soup's flavor is quickly over taken by the noodles and the pork sauce toppings. The Noodles - are thick, slightly curly, yellow ramen noodles cooked on the softer side. It seems that Taiwanese noodles in general are on the softer side and these noodles stay true to that standard. The Toppings - are the special 肉燥 (rou-zao) pork sauce and 香菜 (Chinese coriander). Their rou zao pork sauce is especially fragrant where they pack in a lot more herbs and pepper that really increases your appettite. Overall - while I love the dan-zai noodle here, this place is really a hole in the wall. The store's presentation just doesn't seem that inviting for people from out of town looking for a nice place to eat and relax. While I felt right at home at Tainan Fats, I can't really recommend the place to visitors. 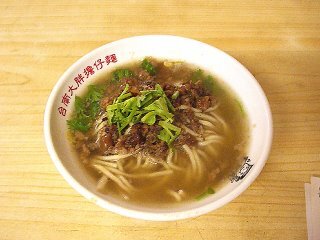 There are simply too many other Taiwanese noodle places that are delicious and offer a much better overall experience.